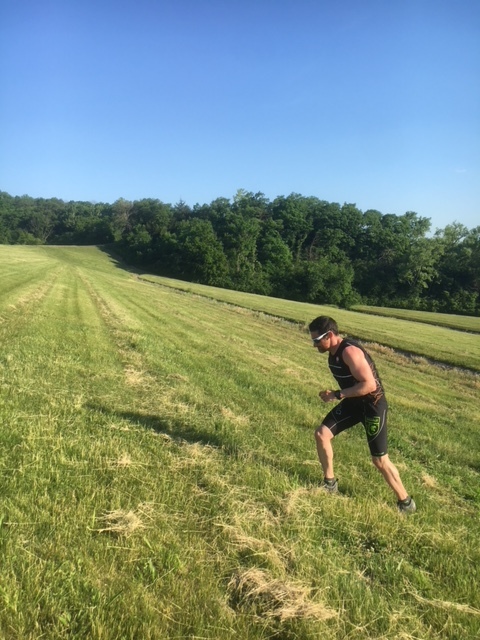 As long as I have been on social media following other Obstacle Course Racing (OCR) athletes I have noticed post-run pictures of sweaty competitors posing with their weight vests. 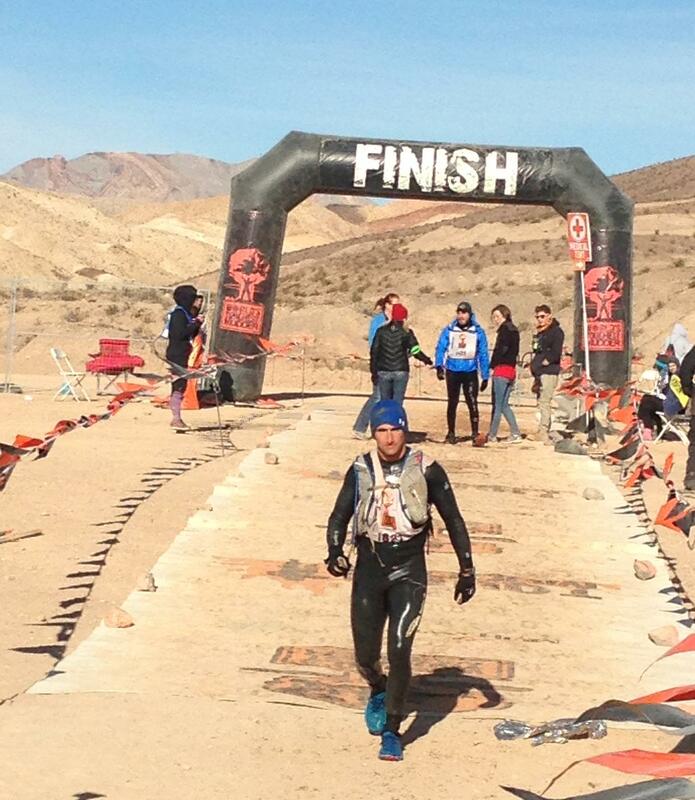 One brand seems to be more present on OCR athletes than any other, Hyperwear. 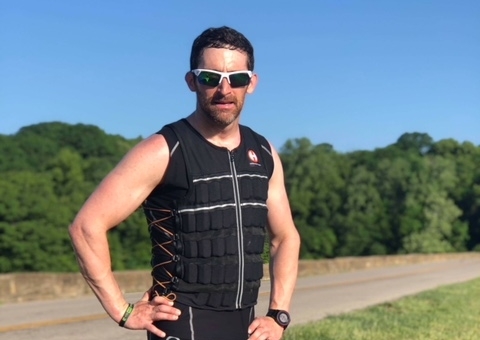 Their Pro-vest has been a staple of the OCR industry as long as I can remember but recently they decided to make some improvements and come out with the new and improved Elite vest. The new vest, the Elite, is now made from Cordura fabric making it tougher and more abrasion resistant than before. If you are unfamiliar with Cordura, it is pretty much what every pouch and body armor exterior shell the military uses is made of (aka it is about a tough of a fabric that exists). Additionally, some minor design tweaks to the layout of the vest make it more comfortable. Each weight is 1/6 of a pound and I have a 20 lbs. vest. The vest comes with 10 lbs. already loaded, which means I received another 60 individual weights to add to my vest. Opening the box, initially, I looked at the number of weights I received and thought, “Wow, this is going to be a disaster.” However, the weights slide in and out of the vest with ease. The company provides a tool along with a link to a video for adding or removing weights, but I thought using my hands was just as fast (or faster). Either way, the point is that adding and removing weight is incredibly easy and I didn’t think the tool was necessary. Additionally, the little pockets have flaps on them ensure they weights won’t fall out. During all my testing I never had a weight fall out or even felt like it was coming close to falling out. The number of small weights makes this very comfortable to wear. The weights are so small they conform to your body making it feel like you’re wearing a second skin made of tiny plates of armor. The elastic sides stretch and contract based on your body type. I took the weight off my 160 lbs. body and passed it to a male friend that weighed 200 lbs. Without adjusting any straps the vest fit both of us very well, which doesn’t seem like it should even be possible but the elastic sides make it form fitting. Furthermore, the plastic adjuster on the side lacing allows people to quickly tighten or loosen the vest if they needed to, making it ideal to pass between athletes if doing a buddy or group workout. 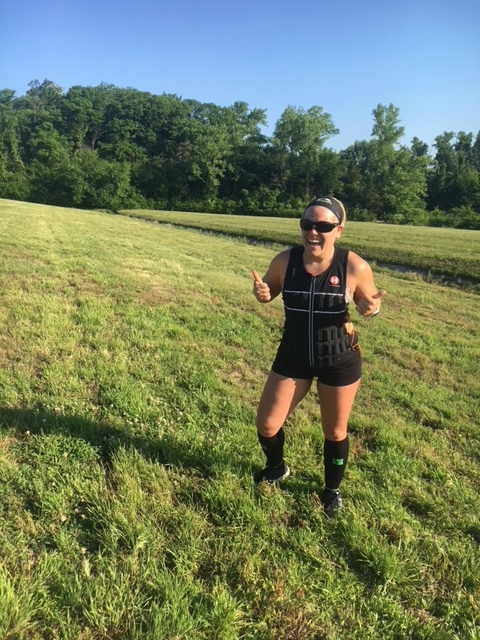 Tabbie Wood from KCOCR testing out the vest on hill repeats. One of the cool things about the Elite Vest is you can buy just the vest with 10 lbs. of weight and the weights for the Elite and the Pro are interchangeable. 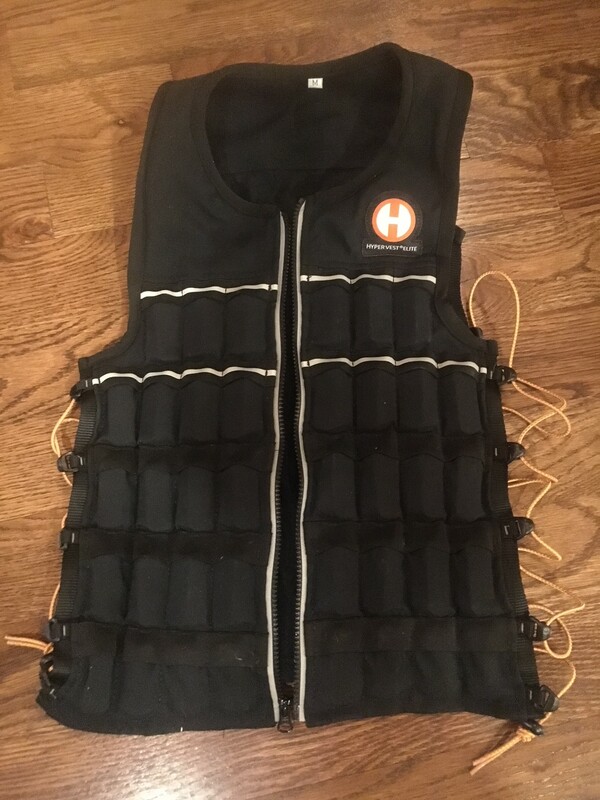 So if you have the older Pro version and are just looking for a more durable and upgraded fit in a more comfortable package, you’ll be able to save yourself about $35-70 (depending on how much weight you want) by just purchasing the vest. The fit was unparalleled. It conformed to my body and was extremely comfortable. The low profile design means you could wear it underneath a light jacket and it wouldn’t be noticeable. So if you want to get in some weighted movement while your spouse drags your around shopping or in a crowded public place you’ll avoid the “that guy/girl’s crazy stares” but still getting your training in. While initially, I didn’t like the number of weights, the more I used the vest the more I liked having lots of small weights. On one of my test runs doing hill repeats the bottom right and left corner weights were rubbing my hip bones. The small weights gave me two options, either put them into a different part of the vest or just remove them. If I had to take out two 2.3 oz weights due to chaffing it would not be a big loss. However, I solved the issue by just moving them to a different part of the vest. When comparing lots of small weights which may take longer to insert/remove versus a couple of heavier weights, the small weights win in my opinion. After all, I only spend a couple of minutes putting in/adjusting weights and the majority of my time with the vest is spent exercising, so I’ll take comfort while exercising over the convenience of assembly. Weight vests are a great training tool for OCR. I have seen many people hit plateaus in their training because people get good at the obstacles and they don’t have access to (or room to build) larger/more challenging ones. Buying a weight vest solves this problem providing you a portable way to make your training progressive (it gets harder as you get better). 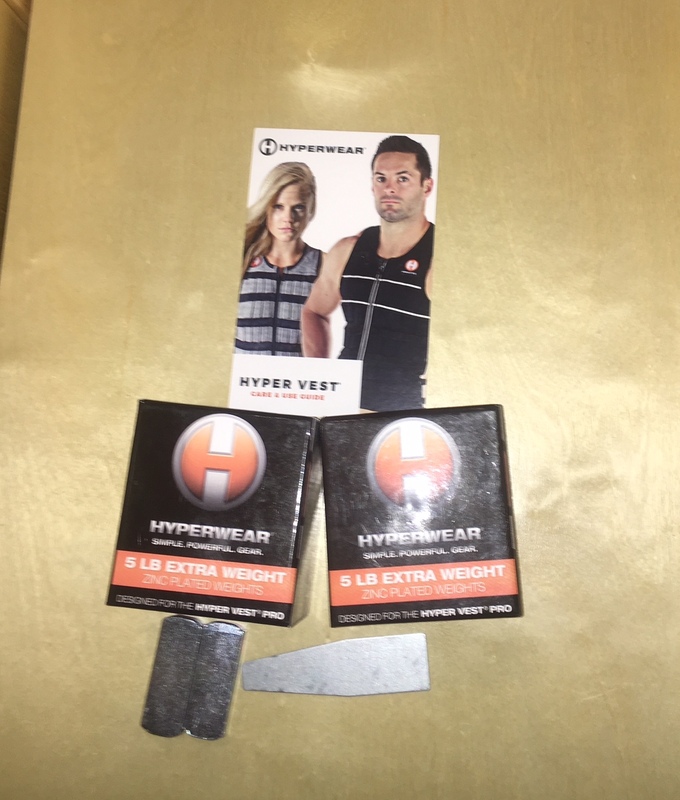 Hyperwear also has a line of weighted accessories including sandbags and sandbells if you are looking to take your OCR training up a level.